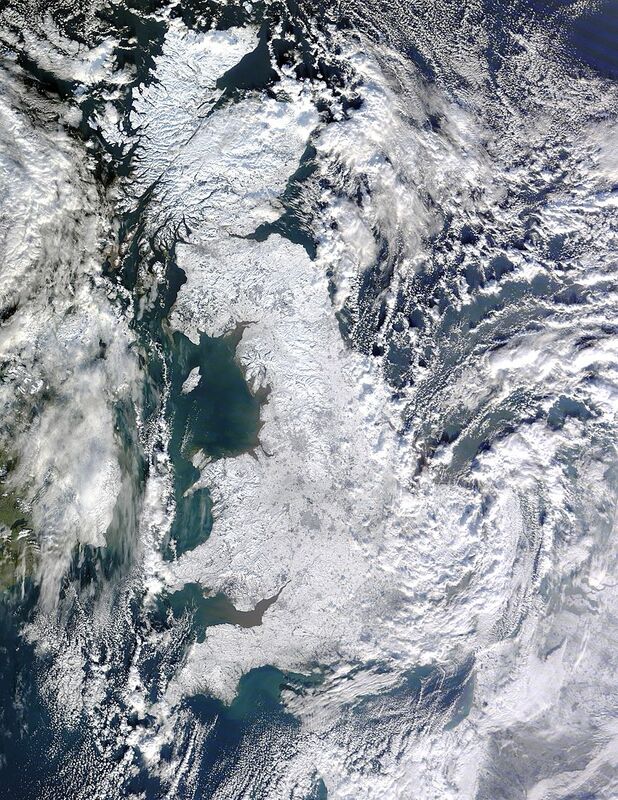 The chilly image above comes from the Earth-observing Terra satellite (credit: NASA/GSFC, MODIS Rapid Response) and it shows the worst snowfall to hit the UK in 30 years (according to the news!) which means that I’m allowed to complain, just once, that my feet are FREEZING! Not everyone in Britain has spent the past two days refusing to leave their flat. Watch the video below to see what a group of engineers at National Instruments did in their lunch hour (and make sure you don’t miss Rich’s health & safety briefing at the end). I can clearly pick out Bristol, Birmingham, (maybe) Coventry, Manchester, Liverpool, Glasgow and Edinburgh, all are a different colour. I floated this on the Bad Science forum thinking maybe cleared/dirty slushy roads could be the cause and one response was that it could be the urban heat island effect. I’ve no idea if either are true, but it’d be nice to know.